In the anime we first see Souma working with his dad at the family’s restaurant. 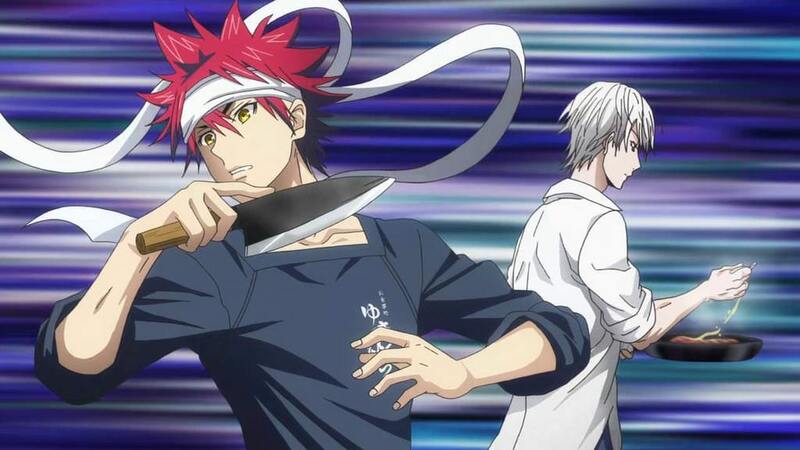 His father decides to enroll Souma into an elite culinary school, Totsuki Saryo Culinary Institute that is difficult to enter and the graduation rate is only 10%! The school campus is a wide-range elite resort boasting many research societies, cooking classrooms and large arenas exclusively for cooking competitions. Will Souma survive this school? Will he become the best cooking duelists between his peers?